I was the featured food blogger on Pratico Goods a few weeks ago. You can read the interview here. 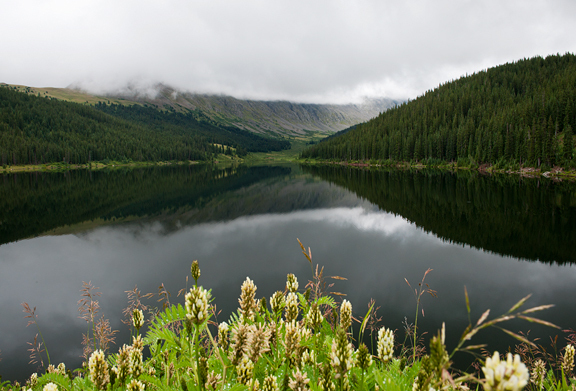 We’re off to a good start with early August rains. Not only are we getting moisture for the mountains, but it does a nice job of cooling down the atmosphere. 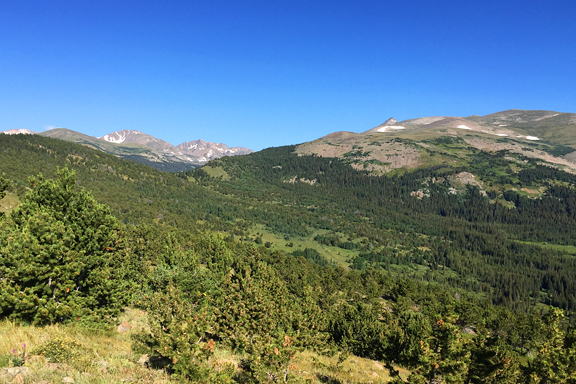 Early mornings can be pleasantly chilly, which is perfect for trail runs or hikes. 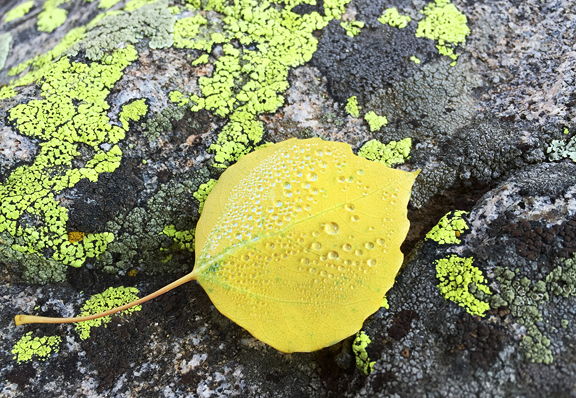 Last week I noticed some yellow aspen leaves on the ground. The trees are still a sea of deep summer green, but tiny flickers of gold leaves are beginning to appear in discreet clusters. I know autumn is still weeks out, but I’m excited for the change in seasons. We’re in Crested Butte at the moment, turning a pile of cardboard boxes into assembled IKEA cabinets. 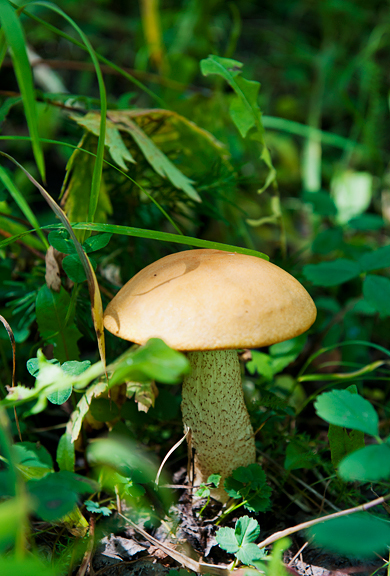 It’s been raining more consistently in Crested Butte such that we’re finding random mushrooms growing in our yard. That’s always a good sign of things to come. 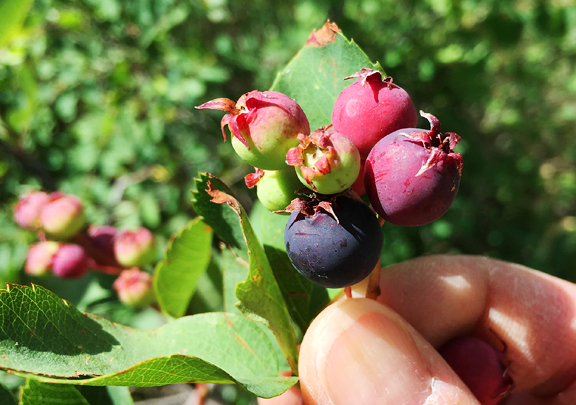 On the trail this morning, I found my first serviceberries or saskatoon berries. 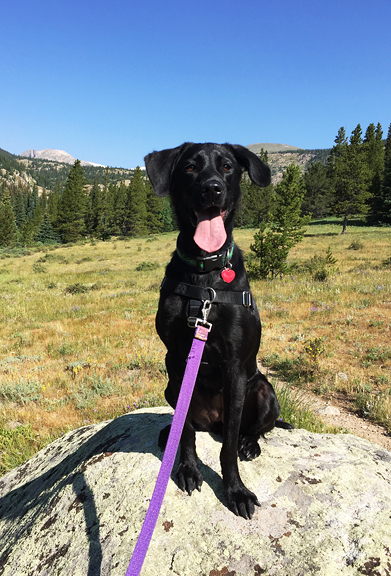 They aren’t nearly as tasty as huckleberries, but the berries are much larger with a flavor like a cross between an apple and a blueberry – mostly sweet and not tart. Serviceberries have a somewhat mushy, seedy texture. Most weren’t ripe yet, but I can’t wait to try some recipes when they do ripen! It’s always great fun to find something new to forage, but I’m just as stoked to discover a new ingredient. 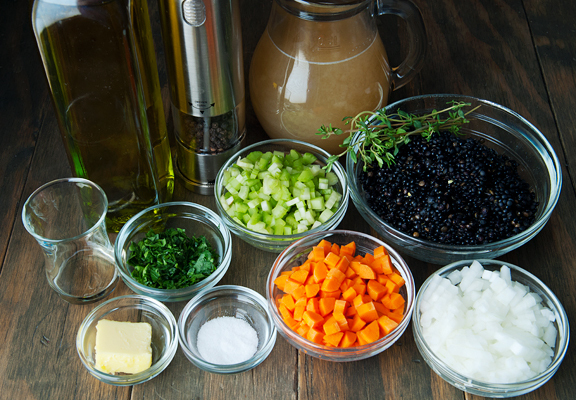 I recently enjoyed Beluga or black lentils at a restaurant and immediately searched for a recipe to prepare them at home. 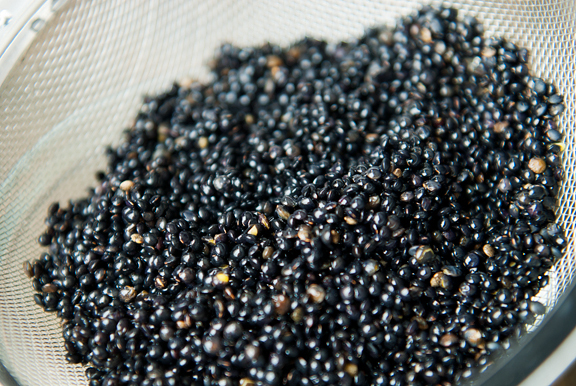 Black lentils are the tiniest of lentils and look like caviar – hence the name Beluga. I chose this recipe because it comes from my friend, John, at Food Wishes and because it had rave reviews. What I love is how quickly they cook without any soaking. You can soak them if you like, but I’ve cooked them soaked and unsoaked with similar results. 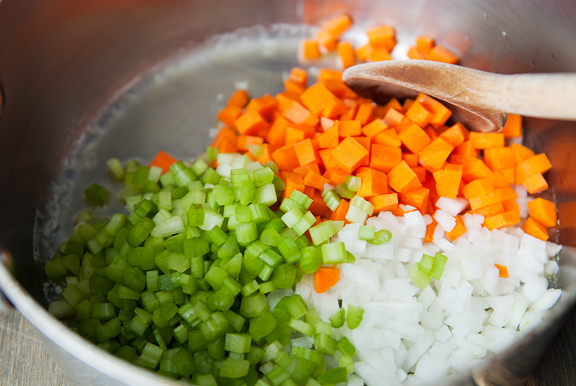 It starts with sautéing a mirepoix (carrots, celery, onion) until the onions are soft and translucent. 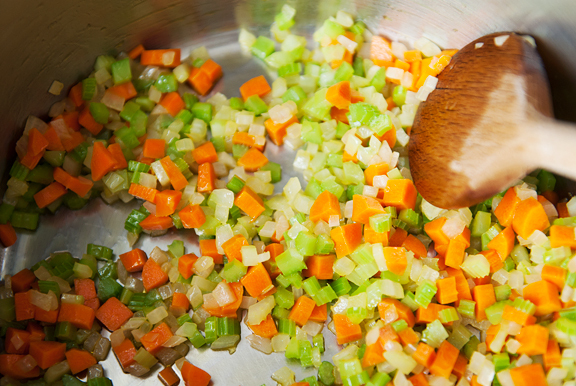 When the vegetables are cooked, stir in the thyme and season with salt and pepper. Add the lentils and stir them into the vegetables until they are all coated in the oil. Then add chicken stock. 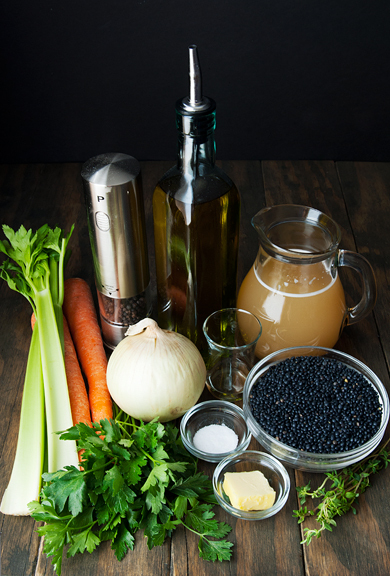 I use homemade chicken stock from roasted chicken carcasses, which lends some extra rich flavor to the lentils. I’ve tried simmering the lentils covered and uncovered, but both ways seem to work just fine. If you like the extra liquid with your lentils, then keep them covered. If you prefer just the lentils, leave the saucepan uncovered to let the liquid boil off. When the lentils are tender, they are ready. 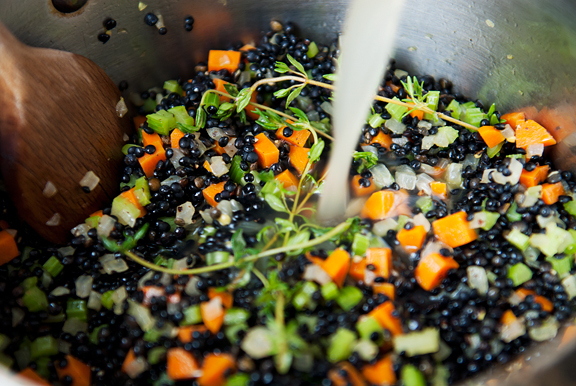 Finish the lentils with some champagne vinegar (but almost any vinegar will work) and parsley. Not only was this recipe easy, it was delicious and so rich in flavors. I have made four batches in two weeks, although one batch was for my parents who are also big fans of this dish. The lentils reheat nicely for a quick meal or you can serve them as a side with roast chicken, pork chops, lamb, beef, seafood, you name it. 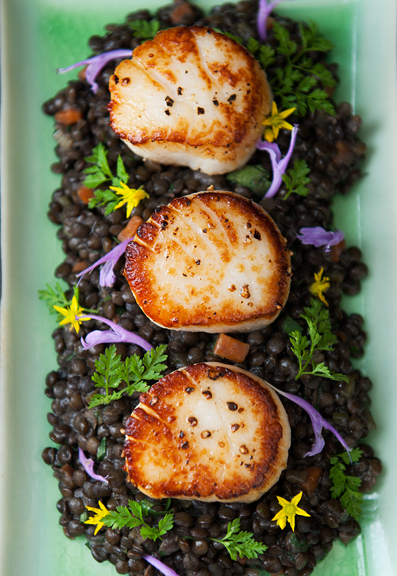 I pan-seared scallops to serve on top of the lentils the first time and it was such a terrific combination. You could make the lentils ahead for dinner parties, too. I can see this one getting heavy rotation in the cold weather months! Pick over the lentils and remove any errant rocks or random grains. 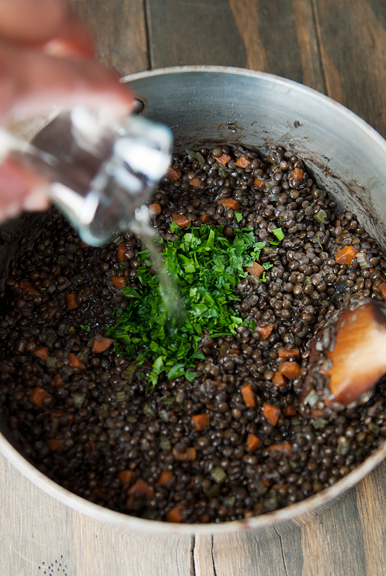 Rinse the lentils with water (you can soak them for a few hours, but it isn’t necessary) and drain. Set aside. 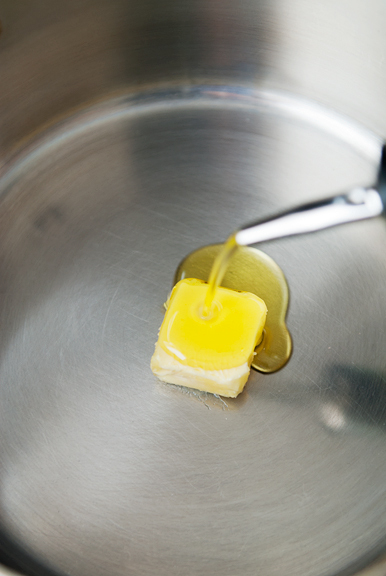 In a medium saucepan, heat the olive oil and butter over medium-high heat until the butter melts. 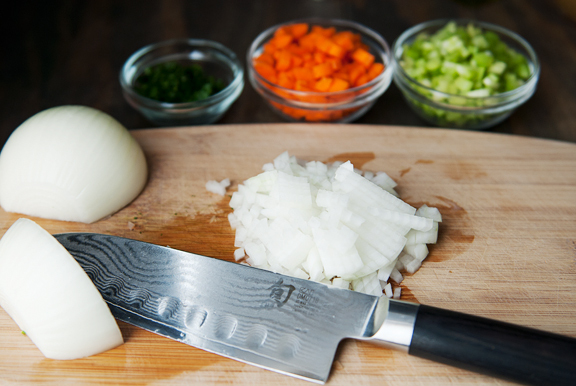 Sauté the onion, celery, and carrot in the hot oil until the onions become soft and translucent (about 6 minutes). Stir in the thyme. Season with salt and pepper to taste. 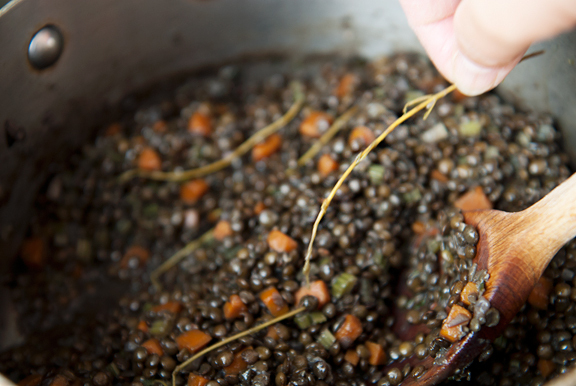 Stir the lentils into the vegetables until they are well-coated in the oils. Pour the chicken stock into the pan. Bring the liquid to a boil then reduce the heat to a simmer. Cover and cook the lentils for about 30 minutes until tender. 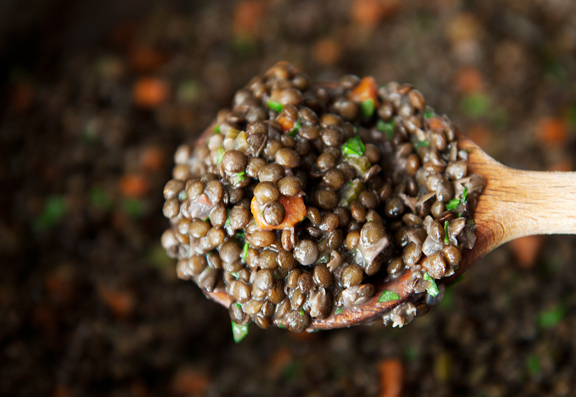 If you don’t want much liquid in the lentils, then leave the cover off and cook until the lentils are tender and the liquid has been absorbed – about 30 minutes. Either way, check on the lentils periodically during cooking to make sure the liquid hasn’t boiled away completely before the lentils are done. Remove from heat, pick out the thyme (discard), and stir in the vinegar and parsley. Season with more salt and pepper to taste. Serves 4-6. Jen, these photos are stunning. 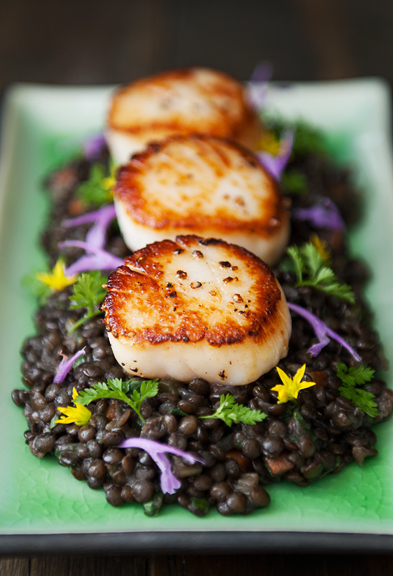 I love beluga lentils and I especially love them with seafood. Dig the mushroom picture, beautiful! There’s not a single turned leaf in sight here, but I can feel it coming and I’m ready for fall. Love the lentil dish. Perfect for a nice cool weekend evening..
Could this be made with other kinds of lentils if beluga lentils cannot be found? 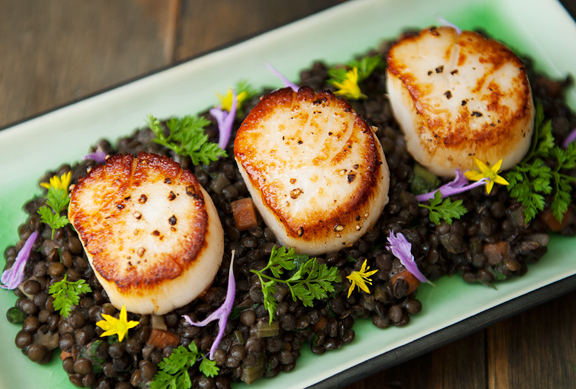 The seared scallops with the lentils is a great combination. I Love lentils! I made this with French lentils tonight because I couldn’t find black/beluga. I also used regular white wine vinegar because it was what I had on hand. It was delicious! 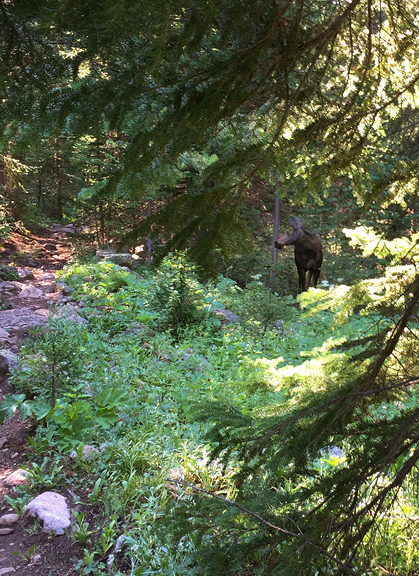 I wish I could forage as well as you! Though somehow I don’t think mushrooms/berries randomly found under trees in northern VA would be quite as nice (or edible haha)! Rose – oh yes! 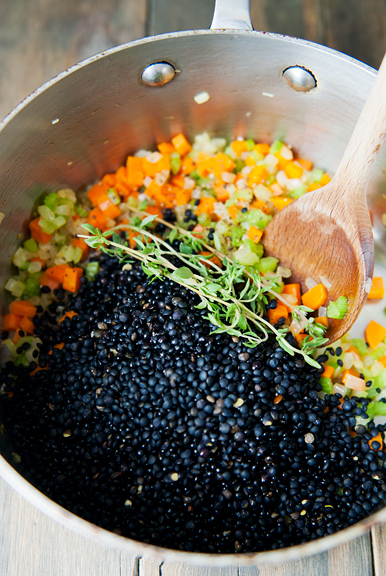 You can use pretty much any lentil in place of the black lentils (just cook longer until desired doneness). Becky – yum! So glad you liked it and that it worked out for you. I bet you could find some good things in NoVa – they get a good bit of rain.